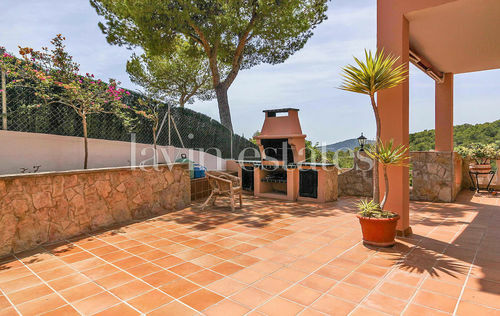 This wonderful Mediterranean villa is situated in exclusive area in Costa den Blanes and enjoys a fantastic view over the landscape and the sea. Set on a plot of approx. 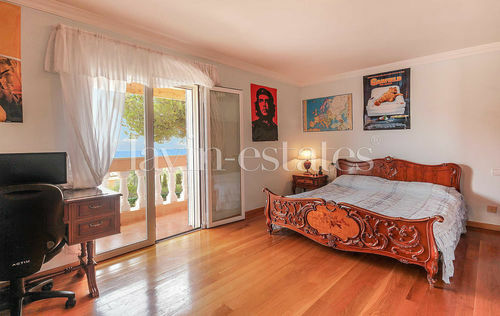 863m2, the villa has a living space of approx. 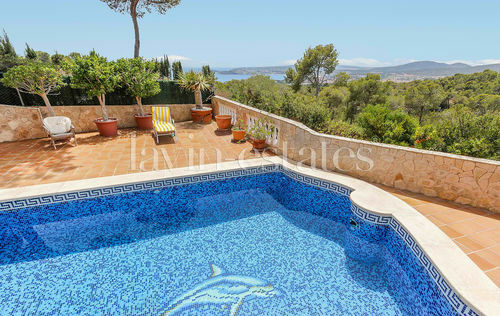 302m2, several open and covered terraces, a lovely garden and a fabulous swimming pool. The living area is divided into two floors. On the entrance level there is a generous living- and dining room with fire place, a fully fitted open kitchen with storage room, a utility room, a guest toilet as well as two bedrooms with bath en suite. 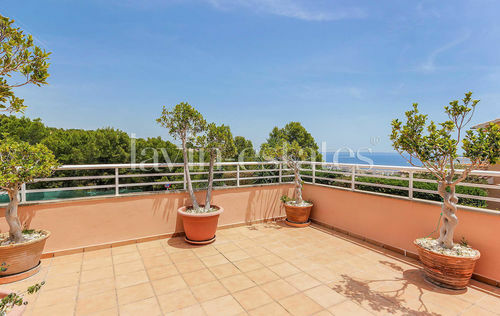 Nearly all rooms have access to sea view terraces. 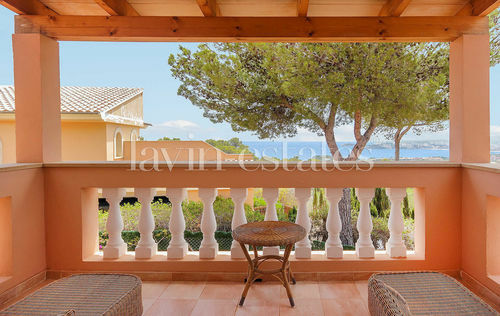 On the upper level there are three bedrooms, all of them with bath en suite and access to a sea view terrace. 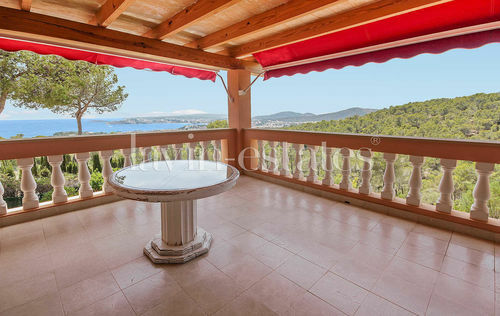 The features and fittings of the villa include double glazed windows, reversible air condition, central heating, alarm system, video intercom as well as plenty of space outside for parking. 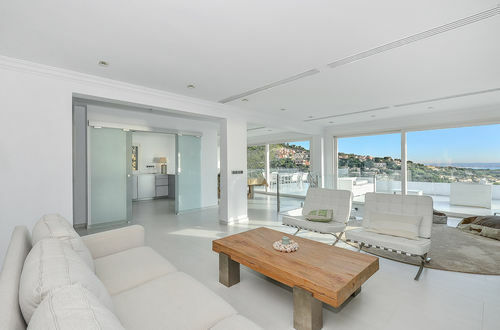 The villa is very close located to the noble marina of Puerto Portals with its impressive yachts, exquisite restaurants and bars. The golf course Royal Bendinat is also only few minutes by car away.